Discover our wellness nature and re-connect with yours. Welcome to the Lake Clear Lodge & Retreat! Why do we offer wellness programs and what are they? What is wellness – it’s such a broad term. To 4 generations of our family, it starts off simply, we don’t even mention the word. 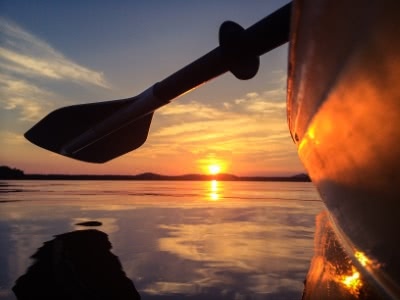 You can simply immerse in NYS only wilderness canoe region – a four-season spa from paddling and swimming to skiing and lantern-lit sleigh rides. Enjoy our Fireside Speakeasy Rathskeller and dine in our Adirondack Alps restaurant with real foods and Old World flair. 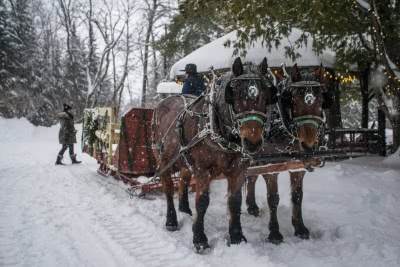 Wellness is one of our region’s most ancient beckoning’s accented during the late 1800’s Cure Cottage Days and steeped in the therapeutic properties of our pine and balsam earthed in NYS only designated wilderness canoe region. Lake Clear itself, a natural monument where Adirondack waters flow north to Canada and east to Lake Champlain. Our 25 acres a historic and natural gathering place, a National Geographic Traveler award for “Keeping a sense of place.” Our family, 3 generations of holistic wellness practitioners led by Chef Cathy Hohmeyer and her “Culinary Naturopathy” offerings. Breathe in natural sojourns and a real foods restaurant with fun cooking demos. Re-energize with Convergence of Wellness weekends and nutritional energetics immersions which redefines how we nourish ourselves. Sprinkle this into your vacation with family and friends or get away for a Healing Woods retreat. If you are interested, sprinkle in a few short wellness immersions while on vacation. From a 30-minute cooking demo before dinner where Chef Cathy Hohmeyer, an occupational therapist, introduces you to her “culinary naturopathy,” to kids and family interactive cooking workshop on cool traditional foods or the latest on “superfoods.” These demonstrations are easy items the whole family can do. Or breathe in a more formal program such as a cooking class on the “10 Essentials of a Wellness Kitchen,” or how to enhance the “nutrient density” of your food at home. Throughout the year, we have many different wellness retreats and events. See what's coming up below! It looks like we're cooking up our next set of events...stay tuned! Sign up for our newsletter to be the first to know when we announce a new event. Welcome then to the heart of wellness programs founded by Chef Cathy Hohmeyer, called “nutritional energetics.” It simply suggests each of us has an energetic blueprint that also needs to be fed and healthy. How do you that? What is it? Do we need to rethink food and cooking? 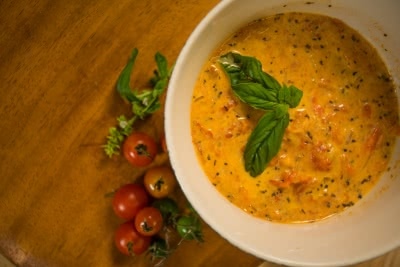 From understanding the importance of the colors of food to re-connecting your human biofield, we offer introductory and advanced programs. First week of November! More information coming soon. 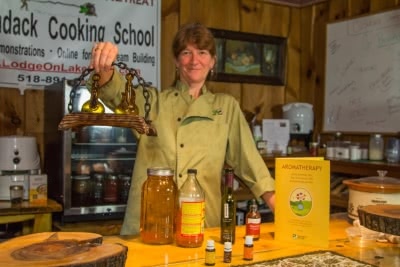 We hope you feel the energy found in our holistic wellness “guides” of Adirondack nature, chefs with fun cooking programs, connoisseurs with unique History of Fermentable Drinks Tastings, to a host of partners who specialize in integrative workshops. All carefully designed to discover our nature and re-connect with yours in a multi-dimensional way! Join us and create your own Path to Wellness, where you don’t even have to use the term. It’s the spirit that’s all around us.